Delivering difficult news to parents during a fetal ultrasound examination is a key aspect of an obstetric sonographer’s role. This project will aim to understand how these experiences impact on sonographer burnout and wellbeing, and to identify which kinds of training may support sonographers with this aspect of care. 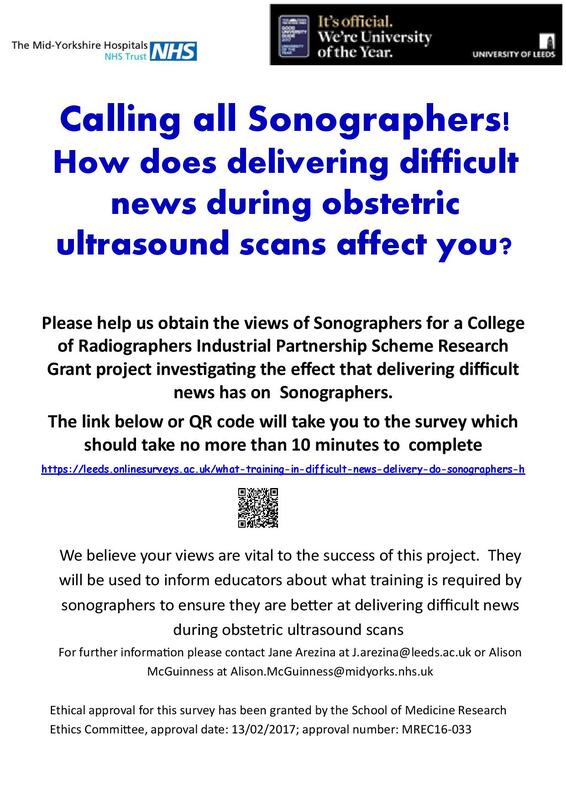 The first phase will involve an online survey to gather information regarding sonographer experiences of difficult news delivery, training and wellbeing. The second phase will involve interviewing individual sonographers who have agreed to participate in order to gain further insight into their experiences. The project will focus specifically on sonographers rather than doctors and aims to understand their unique role in delivering difficult news to patients. The study findings will provide a platform for further research developing and testing training interventions for supporting sonographers with the delivery of difficult news.